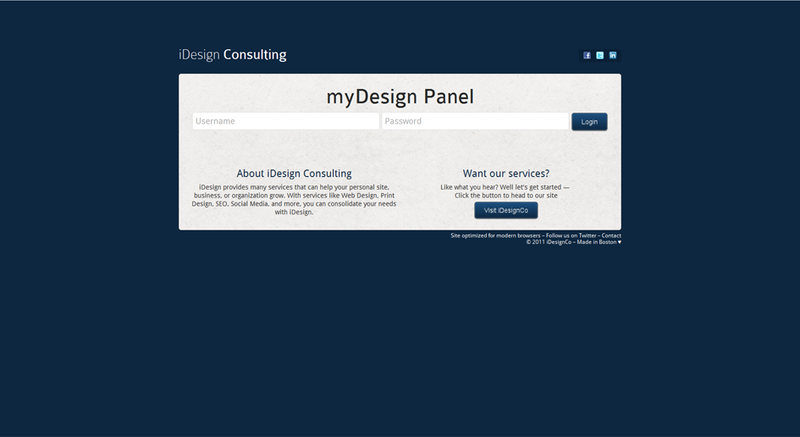 myDesign is the platform that runs a majority of the iDesign Consulting websites. Making use of the WordPress Network feature, it allows all of our sites to be managed from within one system, keeping all sites up to date while reducing the time it takes. The theme itself is a base login page that allows our customers to login to manage their powered by iDesign Consulting website.